One Morning in Maine. 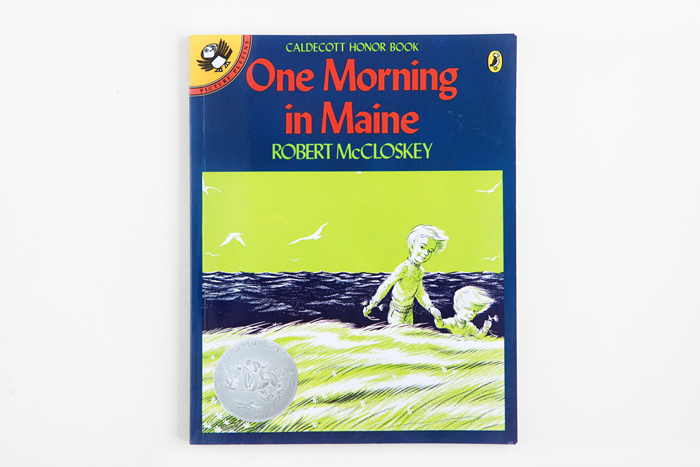 In this Caldecott Honor book by Robert McCloskey, little Sal experienced an important milestone—she loses a tooth, albeit in an unexpected way during a morning full of digging for clams and running errands with her father on the stunning and windblown Maine coast. Throw Your Tooth on the Roof: Tooth Traditions from Around the World by Selby Beeler and G. Brian Karas. Who knew children in so many countries threw their freshly fallen teeth onto their roof? In the Philippines, “I hide my tooth in a special place and make a wish. A year later, if I can still find my tooth, I can make another wish.” Avery laughed a ton while learning what kids do with their lost teeth around the world. Definitely a fascinating read!